More tranquil than Queenstown but still packed with things to do, you might have already heard of Wanaka’s adventurous opportunities such as hiking, canyoning, kayaking and horse-riding to name a few. So Lauren, our New Zealand & Australia Travel Specialist has picked out a few lesser-known things to do, from spectacular ways in and out of the town, to ultra-cosy cinemas. This drive was definitely one of the highlights of my trip to New Zealand because of the sheer beauty en route. It takes just over two hours to make the 111 mile-journey along State Highway 6, but we made the drive much longer as we couldn’t help but stop to take pictures and appreciate our surrounds. Wanaka itself is a small lakefront town in Central Otago. The snow-capped peaks and glistening lake complement each other perfectly and where better for tourists and locals alike to enjoy the scenery, than relaxing in one of the lakefront cafés and bars. It might sound strange for a place renowned for outdoor activities and watersports such as kayaking, jet boating and sailing (which can all be done from Wanaka), but while you’re here, treat yourself to a night at the cinema. The quirky Cinema Paradiso shows the latest films which you can watch with where freshly baked cookies, homemade ice cream and an ice cold beer, whilst relaxing on a sofa or even in an old Morris Minor car! The half day trips starts with a 30-minute boat ride to the island and then you proceed to walk just over half-a-mile to the top. The walk is not strenuous and you are constantly stopping to see the plant life and even have the cheeky weka birds following you along the way. Just before reaching the top of the island, you get to view the Arethusa Pool, which is a small lake with small islands in it – a fascinating and surreal thing to see. After taking in this amazing sight, you continue slightly further to the top with panoramic views of the surrounding mountains, Arethusa Pool and the crystal clear waters of Lake Wanaka. There is even a rock in the shape of an armchair that you can comfortably sit in! Tea and biscuits are shared out and the beautiful surrounds are enjoyed before walking back down the track and planting a native tree to put your own stamp on the island. Wanaka River Journeys really do provide a fantastic experience that combines the thrill of jet boating along the Matukituki River combined with a short nature walk along easy terrain through the forest. The jet boat makes its way along the river and our guide stopped and explained important Maori sites and of course pointed off the Lord of the Rings film locations. The river is surrounded by Mount Aspiring National Park, which encompasses waterfalls, towering mountains and also a fantastic view of hanging glaciers – a must-see experience! When leaving Wanaka I highly recommend you take this route; the views along the way are sublime and the drive certainly gets your pulse racing! Queenstown, New Zealand’s adventure capital is roughly an hours’ drive from Wanaka in Central Otago. Travelling by 4WD is a fantastic way to experience the different landscapes, as is learning how to drive a real 4WD Land Rover. I was very nervous about driving but our guide made us feel really relaxed and much more confident. We were taught how to drive up steep hills, across streams (some of them quite deep), climb steps and ride across the muddy tracks. I can truly say that this was one of my favourite activities during my time in New Zealand – it was something I never would have done and I am so glad I did. Our New Zealand Travel Specialists are all accredited by Tourism New Zealand as ‘Kiwi Specialists’ and are passionate about the country known as ‘Land of the Long White Cloud‘. Having travelled around both islands extensively, we know New Zealand well and offer a complete tailor made travel service. This means we will work with you create the perfect holiday, including flights, stopovers and ground arrangements, offering advice and personal recommendations. 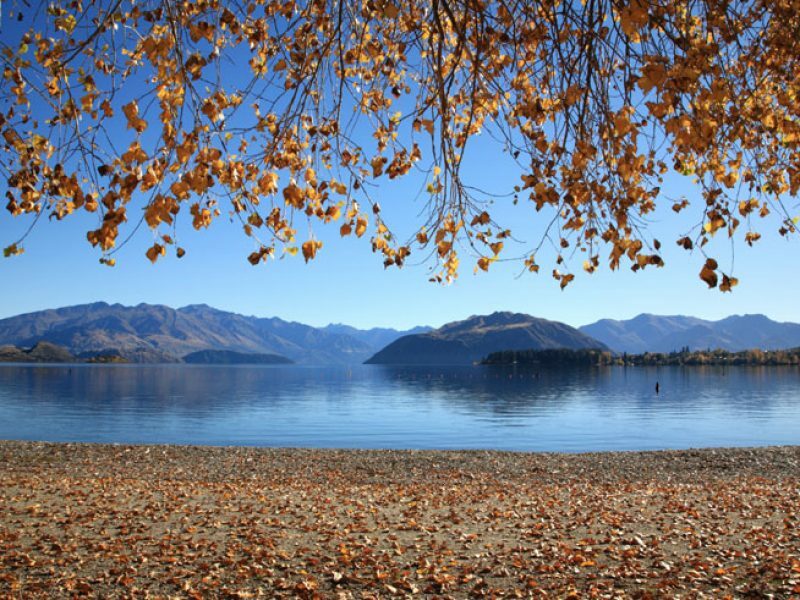 For more about Lake Wanaka and the Southern Lakes or to start planning your own New Zealand holiday, make an enquiry online. Be enthralled by the amazing landscapes in Mt Aspiring Park and its surrounds.